During the mid-winter break, Country Day refreshed its infrastructure to improve the Wi-Fi. 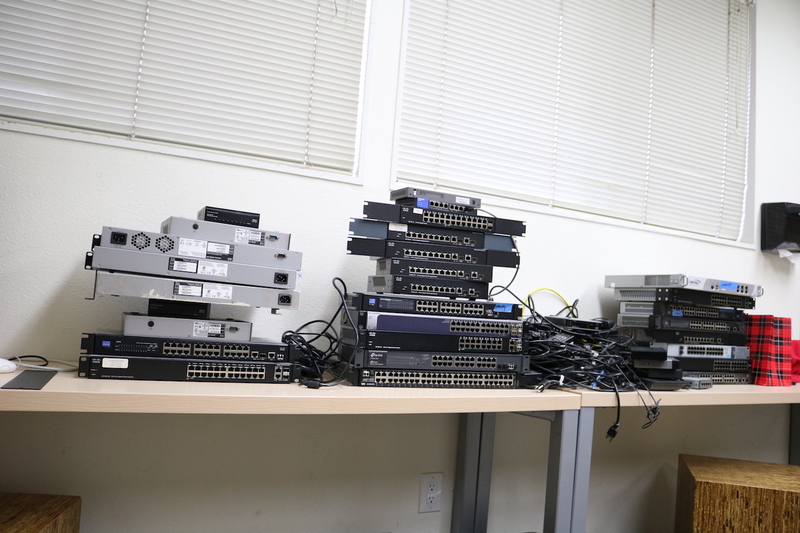 New servers were installed, switches were replaced, and 47 access points were added to seven rooms around campus. Director of technology Shelley Hinson contacted Eclipse Integrated Systems Inc., a networking company in Parsippany N.J., to fix the unstable and slow Wi-Fi around campus. Hinson said she had met the CEO when she worked in New Jersey and trusted the company. Hinson asked Eclipse to come in October and analyze the school’s system. “We were able to locate the different servers around campus, and the analysis helped us understand what equipment we needed to connect (the servers) together,” she said. According to Hinson, the school ordered the equipment from Cisco Systems in December, but Eclipse needed to program the system in relation to the school’s setup before installing it. The equipment now connects to one main server. According to assistant director of technology Fred Jaravata, the Wi-Fi equipment was originally consumer grade, which is used in houses. It couldn’t support many devices, so students’ laptops were constantly being kicked off the Wi-Fi. The school has upgraded to an industrial-level system, which is used by most companies. Hinson said the installation was just phase one of a three-step plan. “The Wi-Fi is much better after the new equipment was added, but there are always things to make the Wi-Fi easier to access,” she said. Step three, Hinson said, is downloading software into the server for easier access. According to Hinson, access points choose certain laptops that can connect to them. Hinson hopes that phases two and three can be completed by the end of the summer, but she doubts that the school will have enough money for it. The cost of the Wi-Fi was not available.